Many committees, who take on the task of hosting and planning a conference or event, do so over and above their “day job” as an academic, medic, or professional in their field of speciality. Therefore, there may be a knowledge gap, manpower or time shortage, or a combination of all of these factors. This is where Promaco Conventions can help. Promaco Conventions will offer a wide range of services and skilled support and will offer these as a complete service, if this is the level of support required. Alternatively Promaco Conventions offers their services individually to manage specific aspects of the event that the organising committee wish to outsource. 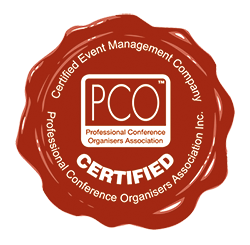 Promaco Conventions is happy to manage as much or as little of the conference that the committee requires.